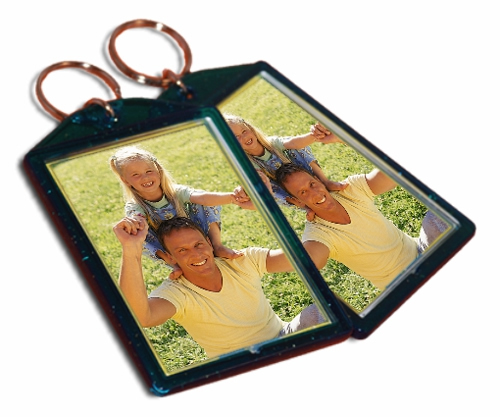 Our custom key chains are a great way to keep your keys together and take your favorite photos and memories with you everywhere. Scratch-resistant and vibrant colors make this a great gift for family, friends, or even yourself. Blue sparkle background.